These are real Empower customers inspired to share their personal stories. They have not been compensated for their testimonials. The reviews describe their experiences and are not a guarantee, promise or reflection of the experience of every customer. If you would like to share your testimonial please fill out the form here. Thank you for your support and sharing your story! “I have been using Empower products for a couple of years now and have experienced real results, and as a huge skeptic, that is saying a lot. (...) It works quickly. . . you can use it as much as you need! I love it.” - LAURA W.
"I’ve been using Empower® Lemon Verbena Topical Relief Lotion 1-2x’s daily for the past two months... I use the lotion on my neck and hands. The smell is simply amazing and reminds me of Lemon Cream Pie. I was looking for a lemon lotion for a long time that I could enjoy wearing and Empower's is perfect. The lotion’s aroma … is very uplifting. Perfect for daily use. Thank you for making a lotion that I can enjoy anywhere anytime! P.S. 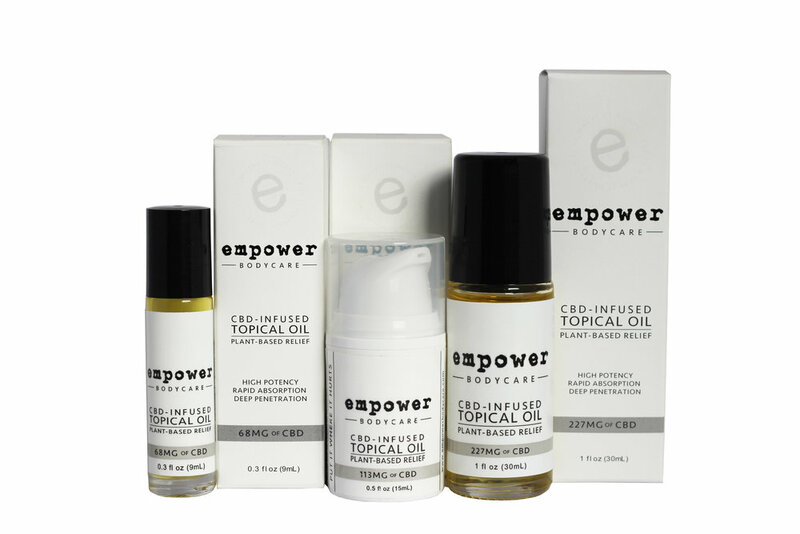 Being vegan, I am thrilled that Empower products are also vegan." – LAURA B.